A very simple 1.25" - T Thread adaptor. 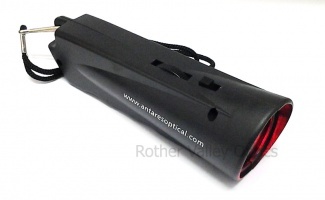 To be used in conjunction with a T Mount for connecting your camera directly to your telescope. The T Mounts are available separately from us. The bracket has a clever two-screw spring-loaded adjustment system that allows precise and quick calibration with the main instrument - robust enough to remain in perfect collimation after the telescope is stored ready for the next observing session. Because the moon is so bright, this filter is used to dull the image down to make it acceptable to look at. Screws onto all 1.25" and 2" eyepieces. 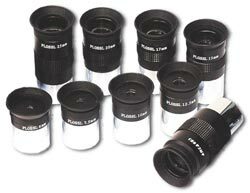 The Plossl eyepiece is by far the most popular ocular in use today. With its 4-element symmetrical doublet design, it has low aberrations with almost every type of instrument. High quality well made 1.25" extension tube. 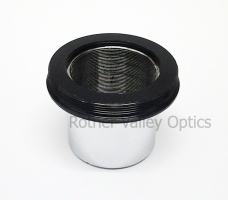 This handy adaptor allows you to push back your optical train in order to achieve focus. The adaptor is provides an extra 2" of extra focus travel. This useful adaptor is 2 in 1. The barrell at the bottom unscrews to give a simple 1.25" - T Thread adpator. Leave it on however, and you can also do some eyepiece projection. 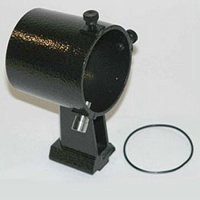 A high quality made Mak - SCT thread adpators. Allows you to use SCT threaded accessories such as focal reducers, diagonals & crayford focusers etc on Maksutov telescopes. 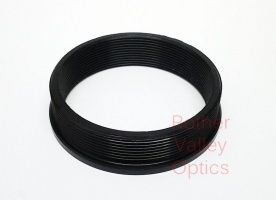 A high quality made 2" - T Thread adaptor. 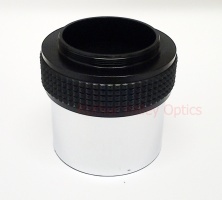 With a T mount, this adaptor allows you to connect your SLR camera directly to a 2" drawtube on your telescope. Antares 90° Star Diagonal 1.25"
Upgrades your existing cheap prism or mirror diagonal (ie the ones you commonly get bundled with telescopes) for vastly improved resolution at the eyepiece.